Xbox announced on their news wire that the Xbox One will be getting Sling TV as a console exclusive. This news came right after Dish announced Sling TV earlier today at the Consumer Electronics Show in Las Vegas. Sling TV is currently exclusive to the Xbox One as a console but you can still use Sling TV on a variety of other platforms. 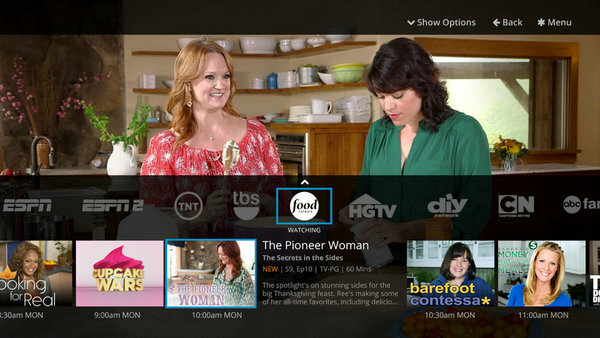 In addition, Xbox Live members will get a free 1 month trial when Sling TV launches. No launch date has been given for Sling TV as of yet but it is expected to launch sometime in the coming weeks and it will be available to purchase for $20 a month. Sling TV is being launched by Dish and is being branded as a cheaper alternative compared to cable packages and satellite services. Sling TV is an internet TV service so you can watch everything available on their lineup over the internet meaning no additional hardware is required. The service is entirely free of contracts and obligations so you can opt out at any time. Some of the TV networks that are available to watch on Sling TV include, ESPN, ESPN2, Disney Channel, ABC Family, Food Network, HGTV, Travel Channel, TNT, CNN, TBS, Cartoon Network and Adult Swim. You can also buy extra packages for an added cost of $5 to include things such as networks for younger children and home/lifestyle networks. Ever since it was released, Microsoft has been branding the Xbox One as an all-in-one entertainment center. The Xbox One already has an extensive market of video and music applications but there is no doubt that Sling TV will help the Xbox One live up to that name even more than it currently is. Mike Nichols, Corporate Vice President for Xbox Marketing says, "“We’re thrilled to partner with Sling TV as they bring this exciting new service to life, and we look forward to launching the Sling TV app on Xbox One in early 2015 as the first gaming console where the service is available, We’re committed to bringing great entertainment options to gamers and our relationship with Sling TV is an important milestone in that journey and in offering more choices to our Xbox fans”. What do you think about Sling TV and it being exclusive to the Xbox One as a console? Do you think it will help the Xbox One out in the long run? Would you purchase a subscription to Sling TV once it becomes available? Leave your thoughts down below.